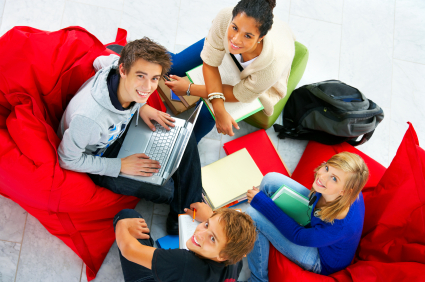 We Can Help You Find the Best GED Prep Tutor Near You! It's Simple and Secure - Get Real Results Fast. Find Expert Private Tutors at Reasonable Rates Today! Ok, it’s finally time and you want to check out some GED preparation classes and start prepping! You’ve decided to take the GED and get your certificate equivalent to a high school diploma. Congrats to you! So, what is the next step? The next step and the most important one, of course, is preparation for the test. Since the new GED tests came out, people are struggling more than before to pass it and earn the certificate because there is no chance of combining the scores from multiple attempts as there used to be on the older version of the test. This makes the test harder and more challenging, but it is certainly not impossible to ace it. All you need is good organization, time, dedication and strong will to pass it. There are different GED exam requirements depending on the state you live in. Find out what are the requirements you need to meet for your state and double check the information you’ve found. Get all the information you can at the official GED website and online or ask someone who has already been through the GED locally and is available to help you. They can tell you where to find all the best information can be found and what to start with. It is important that you do this step first, so you don’t study something that is not needed, and vice versa. And it also insures that you focus on all the subjects that are critical within your state. Being exact with the subjects that you have to study will be of great help: you will focus on what is important and make sure you nail it on the exam when you take it. The second step is to know what you have to study, kind of like we mentioned above but we’re adding emphasis here! Search the internet and visit the official GED website and get informed about the test and what’s included and covered. How many different areas are there in every section? Gather all the information you can and get to know what the GED test looks like. Find an example of the test online and check it out. We guarantee you it will be much easier getting prepared and again, later on when taking the exam to know exactly what it looks like, the format of questions as well as the types of questions that you will see. After you understand what you need to know and how the test is laid out, it’s time to find the right study material. GED exams are quite common in the US, and you can find prep books in any library or bookshop, all you need to do is start the hunt and find the best ones. Check the official site and see what they recommend. Ask your local librarian if he or she has any other manuals to help you out and take them too. It’s important you find the right sources for studying with up to date information and correct answers. We’ve collected a list of some of our favorites, Check Them Out HERE. If you are busy (like most of GED exam test takers are), it is crucial you find enough time for your GED preparations. You know how important this test is to you, so you should re-schedule your days and make enough time for studying. Divide the sections and study one section per day so you don’t get confused or overwhelmed with all the information you’re trying to memorize. Use all the time you can efficiently. There are amazing apps for your smartphone you can download and take with you wherever you go. Check them out and use the time while traveling to work or other activities to revisit what you learned last night. You Might Also Be Interested In: What is the ASVAB Test? Get ASVAB Tutor Help Today! Make sure you have your study space setup and ready at home. A place where you can sit in silence and study the various sections of the GED without being disturbed. 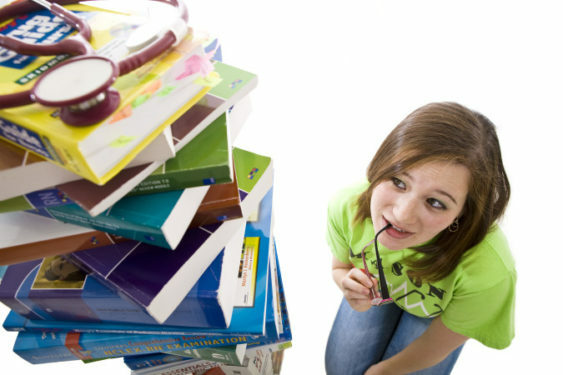 Concentration is the No.1 thing when it comes to memorizing the material you’re studying. Psychological studies show if you have poor concentration, you can study for hours, and you still won’t remember much, so don’t waste your precious time. More often than we can count, we often are asked – “Can you help us find GED classes near me?” And we agree, find all the help you can! Search the internet for GED classes near your location and start with the classes as soon as possible. GED prep classes will help you relieve the stress and make you feel more confident about the exam. You won’t be studying at home all alone and stressing out how you won’t make it. In the class, you will meet other people who are trying just like you, and you will meet a teacher or a professional instructor who will help you with your studying. The teacher will always be there to explain you anything you are not sure about and to give you extra information if you need any. Classes can be fun, and you will feel better after taking them, rather than studying on your own. Use the internet as much as you can to help you with the GED exam. The online community of GED prep classes and programs is vast, and there are many online classes you can take in the comfort of your home. It is a great idea because you don’t have to lose time on going to or from a class in your area and you can feel more comfortable at home than with unknown people around you. If you learn better or feel more comfortable with someone one on on, you might want to consider this option. When hiring a private tutor for the GED, you are organizing your study schedule the way it suits you best plus you get a professional who will guide you through the material and be there to answer any question you have. You can’t re-schedule a class just because you have to stay late working, nor you can ask them to re-schedule an online class. Find private tutors and invest in your studying and success, you won’t regret it. Your tutor will motivate you and keep you going when you lose interest and concentration; he will be there just for you and you get the support and assistance needed in insure that you ace the exam! There are GED practice tests online that you can and should take. Whether you have a private GED math tutor or are studying on your own, these practice tests will help. You will get familiar with the type of the questions, and you will see what your weak spots are. Doing tests online will also show you the final score once you finish, so you will see where you stand. Since math is one of the most problematic areas, doing GED math practice tests is the best thing you can do if you want to be sure you won’t panic when the real test comes. Preparing for the math sections are much easier when you see the real questions rather than just studying and solving problems. A math GED practice test will show you how it will look on the real exam, and you will feel more comfortable once you start doing the real math GED exam. When enrolling in any GED prep classes or with GED tutors, don’t have a negative attitude about the test and how you will do. It is important you stay positive because that’s going to make the preparation and studying easier. Don’t look at the GED exam as something scary and impossible to pass. Look at it as a way to widen your knowledge and secure a better future for yourself. Approach it with a positive attitude and be excited about all the new information you will get to know! GED prep classes and tutors are there to help you study better and learn everything that has to be learned, but they are also there to decrease the pressure you feel and the fear you have. Enjoy the process of learning and don’t think you can’t make it, because anyone who does prepare for the GED can ace the exam, just like you will! Let us know which of these suggestions you used in your GED test prep in the comments section!